Who is Jamie? Former Californian who decided to pack up and leave her worries behind. Sometimes the most amazing things can happen when you’re impulsive about it. Those words ring true for author Jamie Baywood, who sat with Tania Lasenburg and explained why she gave up her life of comfort in the United States for New Zealand. You state that in 2010 you made an impulsive decision to move to New Zealand from California; was that truly an impulsive decision? Were you bored with you lifestyle at the time or were there events leading to your move? I’m from California. In my mid-twenties, I had bad dating experiences in California and a dream to live abroad. I read in a tour book that New Zealand’s population had 100,000 fewer men than women. In an attempt to have some ‘me time’ I moved to New Zealand. It was shockingly easy to relocate to New Zealand literally a few weeks after I made the decision. It only took a couple of weeks for my work visa to go through. I was 26, single, I quit my job, I moved out of a little cottage I was renting and put the few things I had at my mom’s house and brought a suitcase with me to New Zealand. What made you decide to write a book about your experiences? Did you think it would help some people transition easily from leaving the States to go to a new country? I think readers need to remember this is the dairy of a young, hormonal and confused twenty-something, this is not a travel guide to New Zealand or an expat guide to internationally relocate. While living in New Zealand, I had funny experiences that I had trouble believing were true. I wrote the stories down to stay sane. I wrote situations down that were happening around me and shared them with friends. Most of the book was written as the events happened; it just took me a few years to work up the nerve to publish. Publishing my book Getting Rooted in New Zealand was my way of transforming poison into medicine. I hope that it can help people that have had bad dating experiences or bad work experiences – make them laugh and not give up hope. I am sincerely appreciative of everyone that has read Getting Rooted in New Zealand. I’m absolutely grateful that readers are enjoying the book and reviewing it positively. I love making people laugh. I hope you enjoy Getting Rooted in New Zealand! Was love the reason you stayed in New Zealand? I met the man that became my husband in New Zealand. By this time at the age of twenty-seven, I had fulfilled my dream of living abroad, been single for over a year and felt healed from previous heartbreaks. Our relationship issue is how to live in the same country together and where to live in the world. As crazy as my job experiences were in New Zealand, I would actually like to return to New Zealand and give it another try working as a writer. It would be great to return to New Zealand to make Getting Rooted in New Zealand into a TV show. 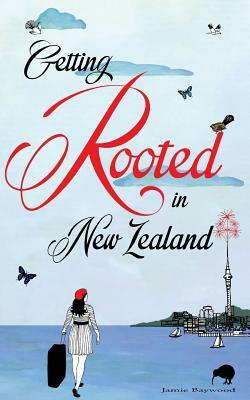 “Getting Rooted in New Zealand” is your first book; how was the publishing process for you? Difficult? Semi-Easy? Did you get any rejections? Writing the book was the easiest part of the process. Most of the book was written as the events happened; it just took me a few years to work up the nerve to publish. To write my book Getting Rooted In New Zealand, I relied upon my personal journals, e-mails, and memories. In February 2013, I organized my stories into a cohesive narrative. It went through several rounds of editing and then I published in April. It’s astonishingly easy to self-publish; it’s a matter of uploading PDFs. If you have a story to tell, go for it. The difficulty lies in marketing and distributing. I wrote, self-published, designed and have been marketing my own book. The hardest part has been trying to promote the book while simultaneously attempting to stay anonymous. My life is literally an open book, but Jamie Baywood is a pen name. I haven’t told my family that I’ve written or published a book. They think I’m just living in the UK working on a MA in Design studying book covers. Finally, what are you currently reading that is inspiring you for your second book? I plan to divide my books by the countries I’ve lived in. I’ve lived in five countries; America, American Samoa, New Zealand, Scotland and now England. 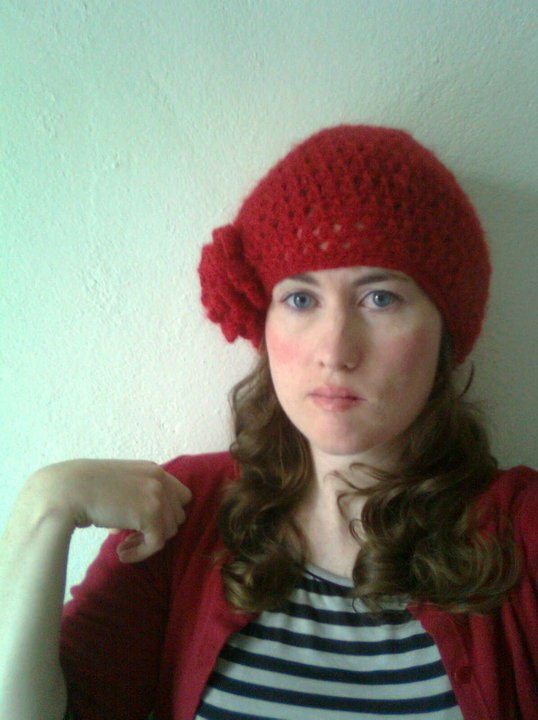 My next book will be about attempting to settle in Scotland.